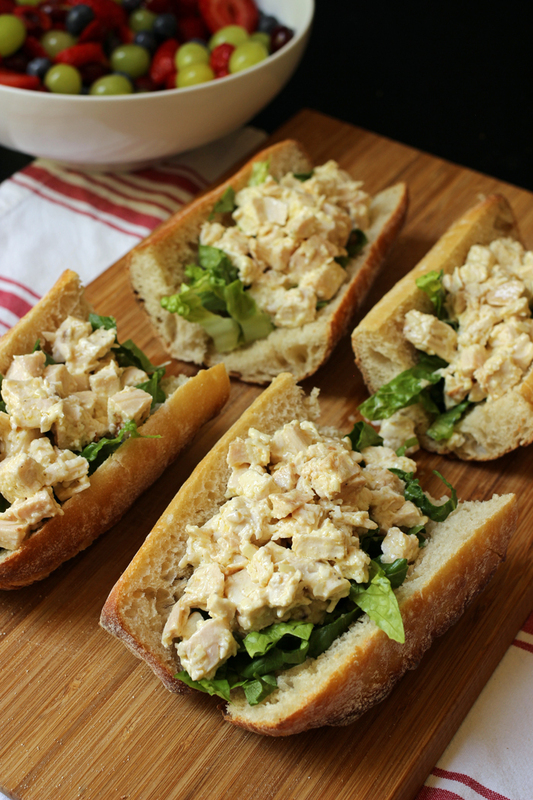 This Chicken Caesar Sandwich Recipe is just what you expect – quick and simple deliciousness tucked into French bread. They are a fun, portable twist on a vintage classic. Do you love caesar salad but sometimes find it a little cliche? Are you ready for a sandwich that will knock your socks off? Do you crave sandwich and salad at the same time? Then this recipe is for you, my friend. Last summer when we were traipsing through England as a family, we would often grab lunch or dinner at a fresher, faster food place called Pret a Manger. Pret offers ready-to-go soups, salads, and sandwiches at very reasonable prices. It’s the ideal stop when you want a real meal on vacation but don’t have a lot of time and money. There are a few Pret locations stateside, but none in California, so I’ve take to recreating some of our Pret favorites at home. We both know that when at home, it’s cheaper to do the cooking yourself, so it all works out. Anywho, one of Bryan’s favorite choices during our Great Britain road trip was the Chicken Caesar Baguette. And this recipe is my quick and simple recreation of it. I mean, it’s really quick and simple. I’d say that if you’ve already got the chicken cooked, it can come together in about 15 minutes, faster than standing in line at Pret a Manger. Ha! 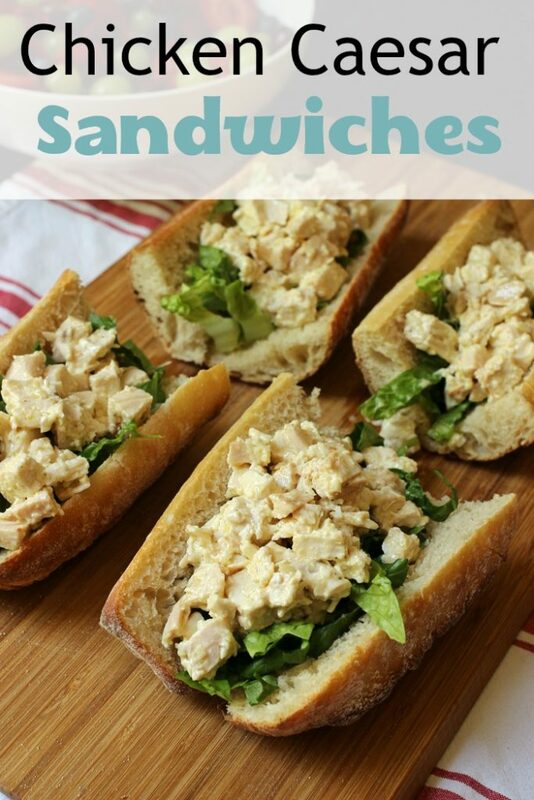 These sandwiches are very much like making a quick and easy caesar salad, only in this instance, the crouton is replaced by the baguette, the chicken is tossed with the dressing and cheese, and then it’s all sandwiched together with a generous handful of shredded romaine. 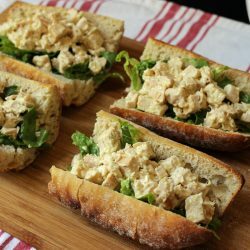 Can I Make These Chicken Caesar Sandwiches Gluten Free? A note for folks eating gluten-free, sub gluten-free bread or simply serve the chicken mixture in lettuce leaves. Still so so good! Stock up on ingredients when they are on sale. Parmesan is the high ticket item here. Buy it when you find it on sale. I buy big blocks of it at Costco for a cheap price. I also use Asiago or Romano if they are cheaper. Make your own dressings. I’m sure you’ve got plenty of Caesar salad recipes that call for bottled dressing. Those bottles are either way too expensive or full of junk. Make your own and save money. Consider using rotisserie chicken in this recipe if you’re pressed and don’t have time to cook the chicken yourself. 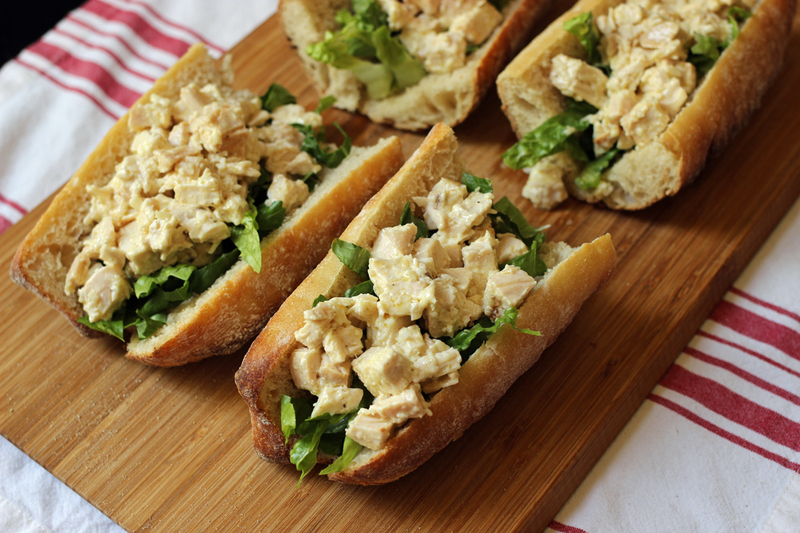 These chicken caesar sandwiches are a pretty straight-forward dish. You don’t need any fancy equipment. However, having some good basic kitchen tools can really make your time in the kitchen more enjoyable. Over time, I’ve honed my collection so that they are perfect for my needs. Here are the tools that I like to use in this recipe. salad spinner – I have this one and love the salad bowl bottom. hand held cheese grater – I have a microplane and a Zyliss, but I prefer this one. After you’ve prepared the recipe, would you do me a favor? I’d really appreciate it if you came back and left a starred review. Thanks in advance for your feedback. 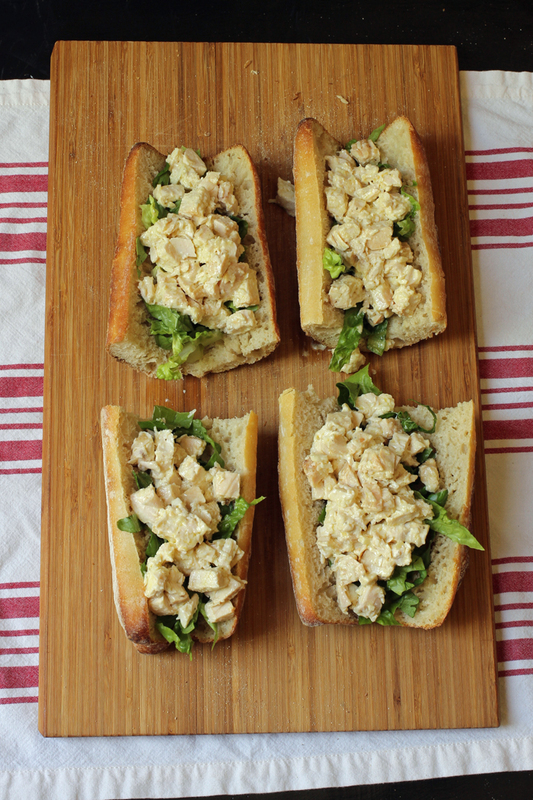 Chicken Caesar Baguette Sandwiches are just what you expect - quick and simple deliciousness tucked into French bread. They are a fun, portable twist on a vintage classic. In a medium mixing bowl, combine the mayonnaise, lemon juice, and garlic. Season to taste with salt and pepper. Whisk in the oil in a thin stream until the dressing is thick and creamy. Stir in the chicken and parmesan and toss to coat. Line each baguette section with some of the shredded lettuce. Spoon the chicken mixture into the baguette sections. Top with additional lettuce. Note: If packing for take-away, wrap each sandwich carefully and consume within a few hours. If you want to serve this gluten-free, serve the chicken mixture in lettuce wraps.